Now the building itself needs some help. 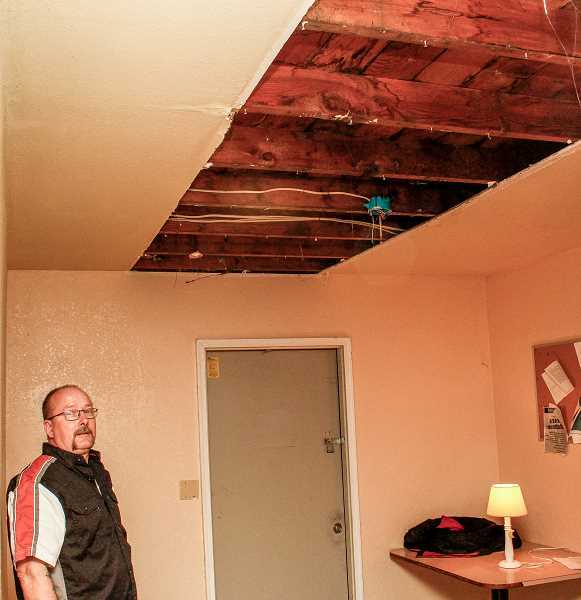 On March 21, FGRC officials applied to the city’s Community Enhancement Program for a $9,580 grant — the amount needed to fix the building’s leaky roof, which is more than 20 years old. And the leaky roof is just one of many needed repairs. Established in the 1980s, the FGRC started out in a space on Main Street next to what is now Pizza Schmizza, then moved to Ballad Town Billiards on Pacific Avenue, and finally, in 2003, got a Washington County block grant to purchase its 19th Place home from the aunt of club member Luis Gray. The house is tucked back behind Les Schwab on a short, dead-end road few non-members travel unless they’re buying a tire. Some Recovery Club members like that privacy, said FGRC board chairman Ray Tutor. But the fact that it’s not a high-profile, beloved community institution might also hurt the group’s fundraising efforts since many people don’t know it exists. 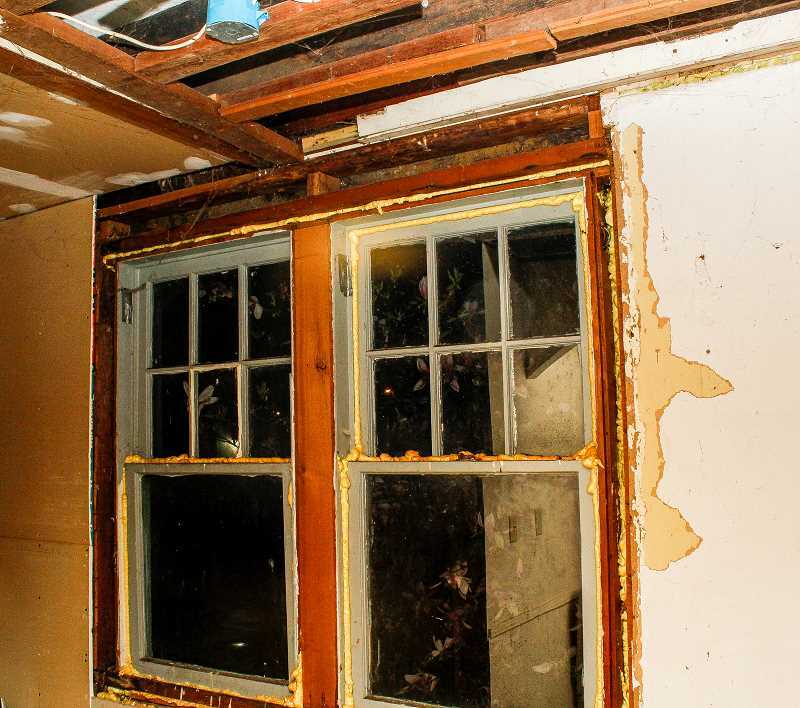 “Without repair, the building will continue to decay,” said Ray Tutor, chairman of the Forest Grove Recovery Club board of directors. Nearby Narcotics Anonymous (NA) meetings are scarcer. There’s one in Cornelius, two in downtown Hillsboro and eight at the FGRC, according to the Narcotics Anonymous website and Tutor. With monthly costs of $260 for electricity, $57 for garbage, $76 for pest control and $110 for insurance — plus $125 per year for an accountant — there’s not a lot left over for repairs. So Tutor recently reached out to West Tuality Habitat for Humanity (WTHH), which serves western Washington County. “We are inclined to help,” said WTHH interim executive director Virginia Ohler. Generally, Habitat builds houses for low-income families. But nationwide, Habitat has also helped repair community centers that house nonprofits and don’t get government funding. 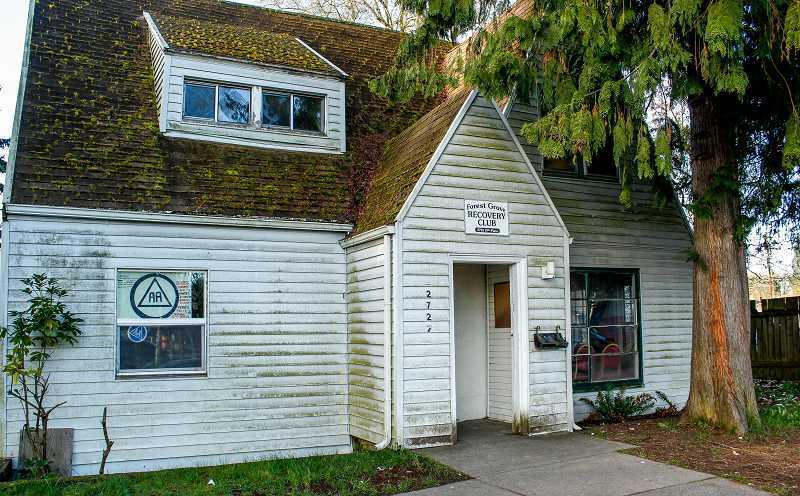 WTHH once considered helping the Forest Grove Senior and Community Center until they learned it received government funding. After speaking with Tutor, Ohler arranged for a Habitat construction manager to walk through the home and determine its needs. From what she’s heard, many of the building’s needs would fit WTHH’s mission and abilities, such as painting and hanging drywall. But there’s a challenge. Most of WTHH’s volunteers are 60- and 70-year-old retired men. “It’s what the volunteers are physically capable of doing that’s the question,” Ohler said. Saturday evening, March 26, 18 people attended an AA meeting in a large room at the back of the house. They shared stories of recovery, discussed challenges they continue to face and offered words of encouragement to stay sober and clean. Several FGRC members sent written statements to the News-Times for this story. FGRC members have done some painting and sheet rocking, but they can’t keep up with the repairs, said Tutor. “I replaced a door,” he said. She helped open the house every day and prepared coffee and food for the meetings. “By doing this, I learned to be responsible, dependable, and was able to connect with others who were learning a new way to live without alcohol or drugs,” Treat wrote. Sanders experienced a similar turnaround. But eight years ago, Sanders attended her first meeting at the little house on 19th Place and has been working to stay clean and sober ever since. Interested donors can contact Tutor Monday through Friday from 5 to 9 p.m. at 503-267-7165 for more information. Or send cash, checks or money orders to the Forest Grove Recovery Club at P.O. Box 62, Cornelius, OR 97113.